IBM Notes e-Discovery, Email Search & Email Compliance Software for Lawyers - What Is ReduceMail Pro e-Discovery? What Is ReduceMail Pro e-Discovery? ReduceMail Pro e-Discovery is a repeatable IBM Notes search and retrieval e-discovery tool which allows any organization with IBM Notes mail to locate relevant documents within the IBM Notes email datastore at any time for any purpose. With the growth of e-discovery needs as well as the need to verify and demonstrate compliance with external and internal regulations, the need to retrieve relevant email from the vast stored reserves has grown as well. The amount of email has also increased and many organizations have not adopted either an email retention policy or a IBM Notes mail management tool. ReduceMail Pro e-Discovery is the ultimate in-sourced early case assessment tool. It allows in-house lawyers to simply and cheaply review company email prior to utilizing outside counsel in an easily repeatable process. At any time, for any reason, company lawyers can search an individual’s IBM Notes mail file for particular content, copy the results into a database and export those results to outside counsel for review. The purchase of ReduceMail Pro e-Discovery licenses allows users unlimited IBM Notes mail file searches. ReduceMail Pro e-Discovery allows you to tailor your IBM Notes search of appropriate custodial email by selecting your list of custodians using individual names, group names, and organizational units. You can also exclude people from the custodial selection based on individual names, group names, and organizational units. ReduceMail Pro e-Discovery prevents custodial email from being deleted by allowing you to set a legal hold from a simple user interface. You can also increase the severity of the legal hold to reader access only or even prevent custodial access altogether. ReduceMail Pro e-Discovery notifies the same people whose IBM Notes mail files you put on legal hold about the obligation to keep all relevant records via a memo in-house counsel can draft. The memos you send with the date and recipient information are preserved as your record in the ReduceMail Pro e-Discovery system as are the acknowledged responses. ReduceMail Pro e-Discovery makes exact local copies of all IBM Notes mailfiles you added to legal hold, which include all meta data and all relevant information. Copies can be placed on a thumb drive or desktop to be physically secured from tampering. Collections can be done across remote networks as well. In addition, as ReduceMail Pro e-Discovery collects the data, it searches the IBM Notes mailfile to determine whether an outside data store has been created. This includes Domino archives and personal email accounts to which regular email may have been forwarded. It adds a full text index to the mailfiles to make them quickly searcheable. Keywords, phrases and Boolean IBM Notes searches are performed on custodial mailfiles through a rapid automated process. Collected mailfiles can be search as quickly as a few seconds per mailfile. Once documents are identified, ReduceMail Pro e-Discovery copies them over into one or more separate databases and labels them with the appropriate keywords used to identify them. This now, much smaller, set of emails can be exported to outside counsel for further review. ReduceMail Pro e-Discovery identifies additional custodians who might not have been subject to the original hold and IBM Notes search. It gives you a list of all email correspondents belonging to the emails collected that are not one of the recognized custodians. An audit trail is maintained of all IBM Notes search keywords and results to make sure you have a legally defensible record.ReduceMail Pro e-Discovery also allows you to exclude keywords, which are also included in the audit trail document. ReduceMail Pro e-Discovery makes the process of IBM Notes email discovery less daunting and more possible with fewer resources. In-house legal staff can use the ReduceMail Pro e-Discovery tool anytime to rapidly locate relevant information without the need for outside vendors or lawyers. ReduceMail Pro e-Discovery is a IBM Notes database which can be installed on one or more IBM Notes clients in minutes via the Avalon technical support team. It utilizes the IBM Notes security model to keep the data confidential and tamper resistant. ReduceMail Pro e-Discovery is designed with the legal department in mind to maximize Legal's control over document collection and preservation and to minimize the role of IT. This increases Legal's comfort level with the IBM Notes search process and releases IT from additional time consuming tasks. Is ReduceMail Pro e-Discovery run once or can additional narrowing IBM Notes searches be performed? ReduceMail Pro e-Discovery can do the IBM Notes search both ways. If you only want one IBM Notes search and then counsel review, our tool can comply. Our best practices suggest, however, an interative process in which multiple IBM Notes searches are performed on the same IBM Notes mail data to narrow the number of responsive emails to limit the number of reviewed email. Can you customize ReduceMail Pro e-Discovery to include IBM Notes databases other than the mailfile? Yes, we can include IBM Notes mail archives or any other IBM Notes database, for that matter, at an additional cost. How can ReduceMail Pro e-Discovery be operated by Legal without IT? ReduceMail Pro e-Discovery requires only a one-time installation which can be done with our technical support. IT may also be required to assist legal department personnel with training needs. Thereafter Legal can operate the software and perform the searches without IT assistance. How rapidly are searches performed? Once the mailfiles are full text indexed the IBM Notes search take a few seconds per mailfile. Can ReduceMail Pro e-Discovery be used in environments which do not have an email retention policy or active mail management in place? Yes. Most organizations have not deployed active Lotus Notse mail management and are often coping with large amounts of unstructured, unfiltered content. ReduceMail Pro e-Discovery can perform those IBM Notes searches. Can ReduceMail Pro e-Discovery be used to search backup tape? Backup tape produces unique challenges. Avalon Business Systems can assist companies retrieving mail from tape as part of our Professional Services. Is ReduceMail Pro e-Discovery compatible with IBM Notes R9? Yes. It is compatible with all IBM Notes versions including IBM Notes R6 and forward. Where do I find the instructions for installing ReduceMail Pro e-Discovery? The instructions for installing ReduceMail Pro e-Discovery are in the Help - Using This Database document that accompanies the system. 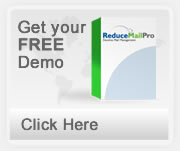 ReduceMail Pro e-Discovery is designed for a multi-server IBM Notes Domino environment. It uses LotusScript based agents and runs on all Lotus Domino platforms. It works with IBM Notes versions R6-R9 and will be compatible with future Lotus Domino software one month after gold releases. Upgrades typically do not involve any changes at all. ReduceMail Pro e-Discovery is platform independent and has been tested on Windows, Solaris, Linux, Unix and AS/400 servers. Cost of attempted compliance with an e-discovery request. location of potentially responsive email - is it on back-up tape or on a more accessible medium? if your organization is using quotas to manage mailbox size, how many employees have archived their IBM Notes mail to home computers or thumb drives? Cost of failure to adequately respond to an e-discovery request. A common issue raised by lawyers is the frequency with which sanctions are threatened or imposed by the court for failure of meaningful e-discovery compliance. A sanction could be a direct financial sanction, or, even worse, a ruling against your organization in the suit. This creates a real pressure on your company to settle, whether that’s really in its best interests or not. Cost of evaluating a claim in the early case assessment stage.